I've had teachers asking...I've had students asking...well the students are hoping my answer is No...but yes, all those graphics and music students use in their school projects, even if they are free, public domain graphics, should be cited. It's time to teach our students to be Copyright Savvy. Here are 5 things every student should know to ensure they are abiding by copyright laws. 1. When in a Google Slide or Google Doc, use the Explore Tool to conduct your image search, not the search feature in the Insert>Image menu. It will provide students with a link back to the image source to be able to get the needed information for a proper citation. 2. If students are conducting a Google image search directly in Google, there's a tool Google provides to make it easy to filter out images not eligible for use. It's the Usage Rights tool. After conducting the image search, click on the Tools button and select Usage Rights. From there, students can select the level of reuse needed. 3. Many graphics from sites like Pixabay require no attribution and it states such. When this is the case, once the picture is open on the download page, run the citation Chrome extension from there. The citation will provide the information that it is a free-to-use image. 4. Music for multimedia projects is another frequently abused copyrighted item. Just because you purchased a song from iTunes does not give you permission to use that song in your multimedia project. Recently a tweet was shared by Kevin Kwan, author of Crazy Rich Asians in which he provided a copy of the letter written to Coldplay asking for permission to use the song, Yellow, in the Crazy Rich Asians movie. I love this example that even those at the very top have to get permission to use copyrighted material. As result, all students need to become very familiar with the extensive Youtube Audio Library available in the YouTube Creator Studio suite. All of the audio files are available for download, although many do require attribution. Look for the Creative Commons Attribution icon next to the download button. If that icon is present, click on it and the needed information will be there to copy. 5. Lastly, get to know your Library Media Specialist...they are the great resources available. 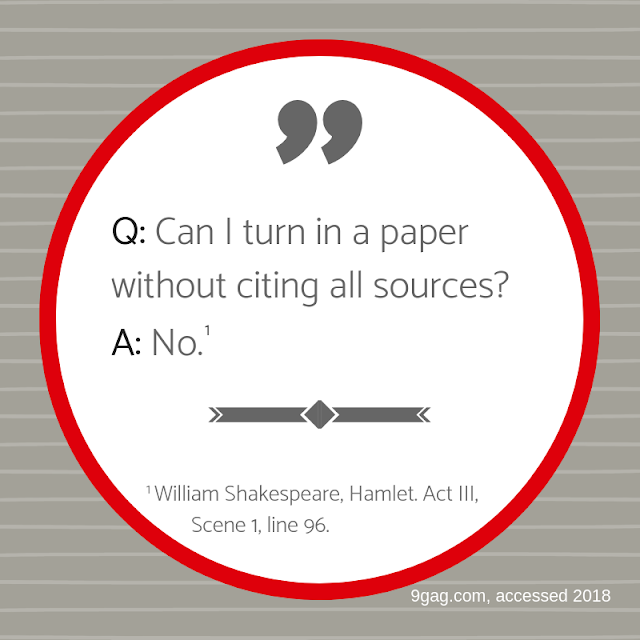 They can provide resources such as Copyright Education Resources! This one source can answer most copyright questions and provide a wealth of information. 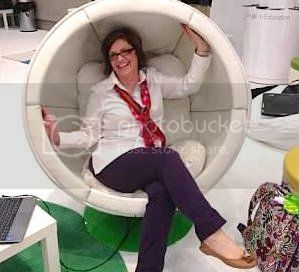 I personally would like to give a huge shout out to the Midlothian ISD librarians for their help with this blog post! In my opinion, Google Slides is the most versatile app of the G Suite arsenal. In fact, I've dedicated an entire website, Google Slides: The Swiss Army Knife of G Suite, to things you can do with Google Slides that go beyond presentations. While the slide templates available in Google Slides are pretty limited, there have been many sites that have popped up in the past several years that provide additional resources to spice up your presentations. Click here to see several I have curated in my Google Slides site. 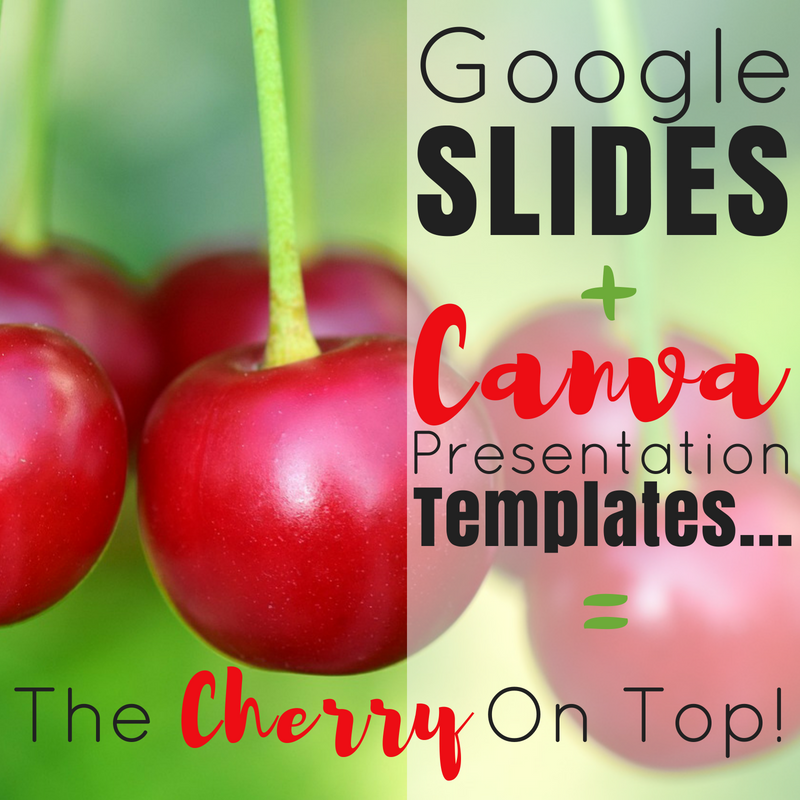 Because I primarily use Google Slides beyond just presentations, I find the use of Canva's extensive list of imaginative templates, which are easily customizable, to provide many creative options. I like to use Google Slides to recreate my own 'Thinglink"-style interactive graphics. In order to do that, you can customize your slide background using one of the presentation templates and customize it to your specifications such as this example created for The Cay. Check out the list of presentation templates, let your imagination run wild, and create a "cherrylicious" design. I discovered the Plotagon app several years ago before there was even an educational version and I was amazed as I watched students creating their plots, writing their scripts, and making adjustments along the way. You see, the unique thing about Plotagon is, it helps students visualize their writing. As they write the dialogue, build their plot, and create a setting that is meaningful to the storyline, Plotagon creates an animation of their work. 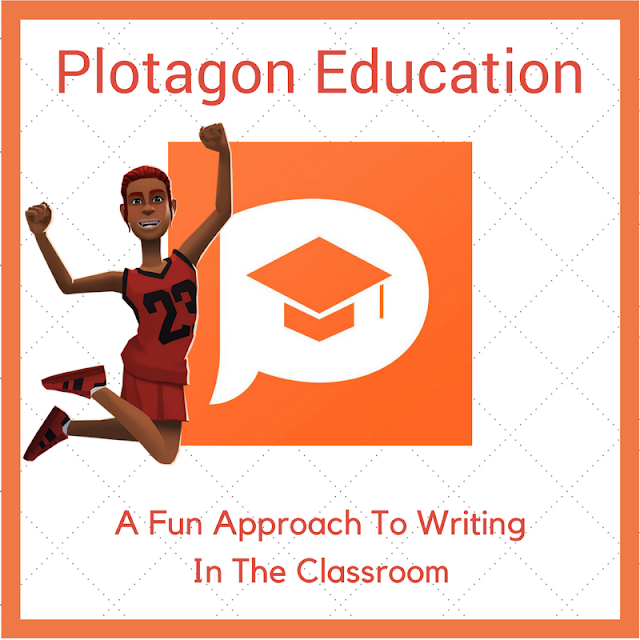 Plotagon Education provides a safe environment for students as this version has eliminated the social media component of the app. They continue to add new features such as characters, actions, scenes, sounds, and music. 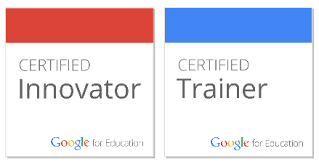 It also provides for Google and Microsoft logins so students can begin creating immediately! It is an app that must be downloaded from the Plotagon website. Click here to get your download. It's available for Mac, Windows, iOS, Android, and Chromebooks that support Android apps. This app could be used for all content areas and provide opportunities for students to write about the content while incorporating some fun elements. Below is a sample video I made in 5 minutes! It's such a cool app to add to your lessons! Students will love it! I love Canva! It is a great site where anyone can design beautiful graphics with little to no design skills. They have a great list of templates students and teachers can use to craft quality work. Click here to view the extensive list of templates. There are additional templates under many of the categories. Another feature Canva offers is design inspiration created to build your design skills. These lessons are hands-on and cover a wide variety of design topics. Click here to take advantage of the tutorials offered. Canva even keeps up with your progress! Brochures and Newsletters-this is a great way for students to show what they know and Canva provides templates for both. Social Graphics-I love this simple template that could be used in many different ways such as creating a graphic to represent something they've recently learned. Infographics-These are hard for students to create initially. They require much critical thinking to be able to visually represent information. Canva makes this task a little easier. Presentations-Let's face it, we can all make our presentations a little more visually appealing. Canva has a template that can be used as the slide background, the background for a Thinglink or Padlet, or more beautiful graphic organizers. Magazine Covers-Students can design professional looking magazine covers that could rival the real thing. Posters-The poster template provides just the right size for poster creation. With all of the free design assets located in Canva, students can create works of art! Again, there are many types of poster templates as well. Flyers-Similar to the brochures and newsletters, students can create dynamic flyers detailing their learning or any related information. YouTube Channel Art-Since most districts are now Google Apps for Education Districts, for secondary students, that includes their own YouTube channel. Additionally, they have a template for the YouTube Thumbnails. What a great way to help students learn about branding and who knows...there may be some budding YouTubers in class. There are also templates for Etsy, Facebook, Twitter, Instagram, Tumblr, and Pinterest. Photo Collages-While most think they can craft photo collages, to get one that is pleasing to the eye and well-balanced takes skill! They have templates for these collages in a wide variety of topics. Resumes-This is something all high school students need to learn to do, and if it's visually appealing, it will stand out from the others! They have many different types of resume templates from which to choose. 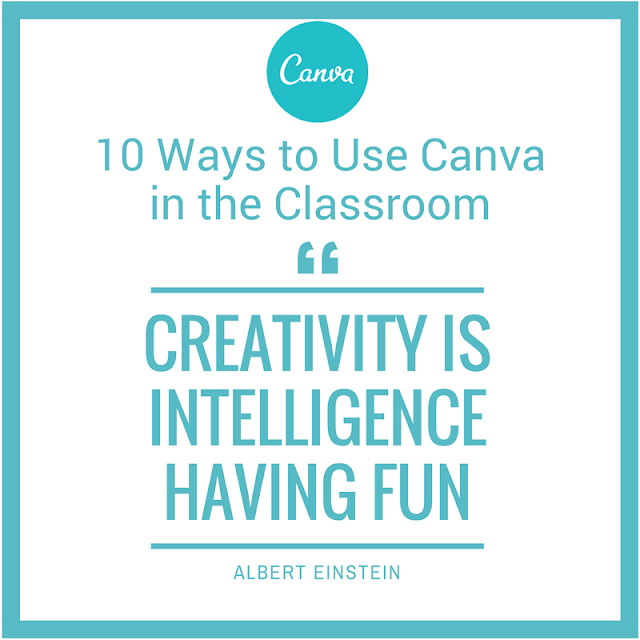 So basically, if you or your students need to design anything, Canva is the place to go! Not too long ago I wrote a post on rubrics. 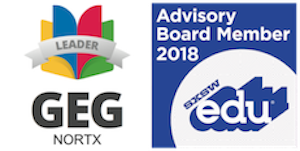 While at SXSWEdu 2018 last week in Austin, I got an opportunity to attend a session on MetaRubrics presented by a team from the MIT Teaching Systems Lab. This session allowed us to create a project, design a rubric, then evaluate the rubric we designed. It provided lots of discussion on the dynamics, the value of rubrics, and whether or not the rubrics really assess the learning goals. The materials and activities we used are all online and can be downloaded from the MIT Teaching Systems Lab website. It's pretty self-explanatory so check it out! This is a very valuable endeavor that should translate into crafting much better rubrics in the future. Below is a video that describes the procedure; check it out, go through the exercises, then begin to implement more dynamic, on-point rubrics! ePortfolios are essential elements of student learning today. They can reflect the depth and breadth of the learning and chronicle the struggles along the way. In our digital world with all of the tools now available, it is important to be able to showcase student work. It tells the student's story in a way nothing else can. 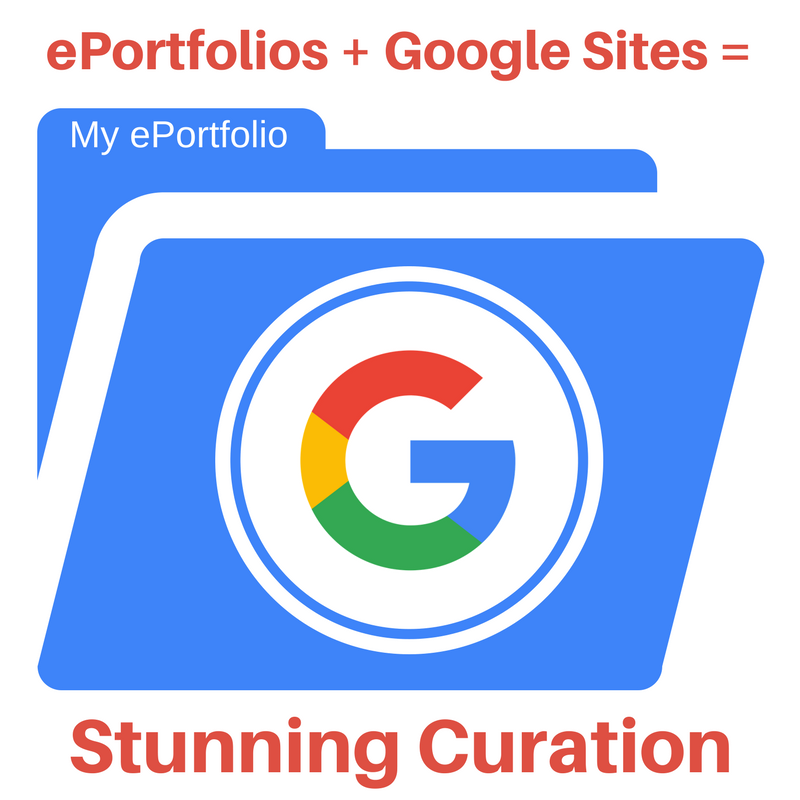 To begin to amass content for an ePortfolio, it is recommended that students create "Showcase" folders in Google Drive for each content area and/or for each grade level. Then as students move through the grade levels, work remains organized and easy to access. This is also a great way to view visible results of growth. The new Google Sites is now so easy, even the youngest learners can begin to curate their learning especially since most work now is housed in Google Drive. Students can add various pages for each grade level and "nest" under those pages, additional pages for each content area. The new Google Sites makes it easy to showcase whole folders of content with one click. And...changing the view of that display to Grid View makes student work shine! Check out this video to learn how you can add whole folders of work at once and get your students creating ePortfolios today! 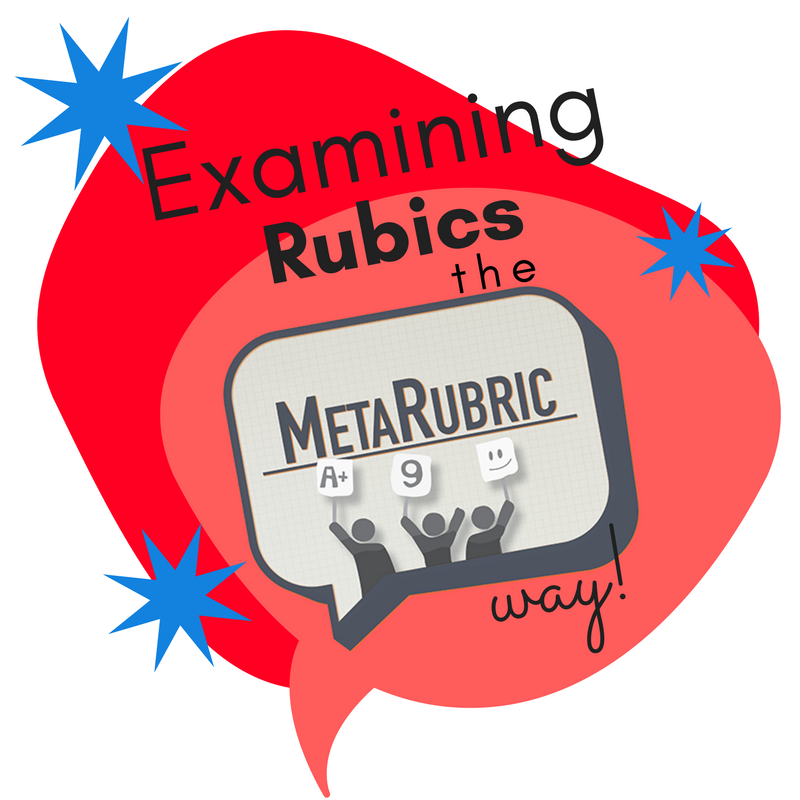 Examining Rubrics the MetaRubric Way!